Tatianna was most recently seen as Oksana in IFTA award-winning Best Feature Film A DATE FOR MAD MARY directed by Darren Thorton for Element Pictures. Further screen credits include a Best Supporting Actress nomination IFTA 2010 for the role of Sascha in TV movie BELONGING TO LAURA directed by Karl Golden for Samson Films, FAIR CITY (31 episodes) for RTÉ, DEAD LONG ENOUGH directed by Tom Collins (Grand Pictures), PARKED directed by Anthony Byrne (Ripple World Pictures) and SHORT ORDER directed by Anthony Byrne (Igloo Films). Other credits include Natalia Riabuskin in long-running medical drama THE CLINIC directed by Lisa Mulcahy (Parallel), PROOF directed by Ciaran Donnelly (Subotica) and CAPITAL LETTERS with New Decade Films. 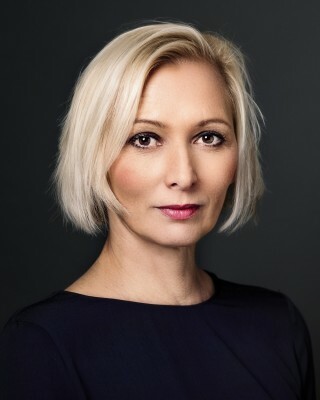 Tatainna also appeared in a recurring role as Natalya Ivanova in hilarious comedy series PATHS TO FREEDOM directed by Ian Fitzgibbon for Grand Pictures.